Oh my goodness. This morning was actually cooler and there was a strong breeze all day! The kids were silly with excitement and we actually went down to the park three times. I have been trying to wean the kids from me bit by bit and teach them this is home and I do come back. So I grabbed all the trash and left on my bike to the dumpster. I take a bit of a spin around before returning and when I came back I saw Ozzie laying in the front window, Sammy close by and I heard Lola leaping off and on the couch. At least no pillows gave their lives in my brief adventure. I had been gone for years!!! Everywhere I look I see picnic tables. So today, that's what I painted. "Hello Friend" 6" x 6" oil on gessoed board A view from my RV window. Roger liked that it because it was "more organized" than my other paintings. I'm thinking it will be fun to see how my plein air pieces will change as I go. I have been a studio artist forever so this is new ground so to speak. Two more weeks til our take off. At the end of September we will came back here to regroup. I spoke with Wendy, owner of the RV park today and I may be able to teach art if the woman who did it last year doesn't come back. The park will fill up so as I'm painting outdoors I'm also hoping for some sales or private students. This will give us time to do some saving and planning for our big escape. It will also give me the opportunity to paint the park in different light. Be prepared for more picnic table paintings . Every so often I chat with another CC Allure owner. He also has an '04. He is installing an ARP board for his Norcold Refrigerator. I've just started reading about it. So much to learn. 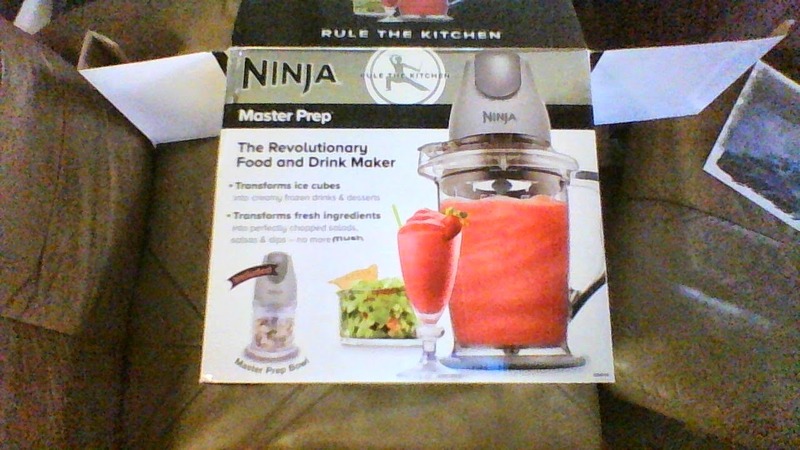 We just got our Ninja Prep. One of my favorite, favorite things to eat is grilled cheese sandwiches and tomato soup. Roger found this on Amazon and ordered it. Tonight he will use it to grind up wonderful red tomatoes and make my soup. I'm a happy "camper". Have a great night too!! Now I know what I'm having for dinner... Oh, and I love the picnic table. Thanks Lou!! The soup and grilled cheese were great!! !